Burnham Market postmill stood in the small village that comprised of Burnham, Ulph and Sutton that was to the southeast side of Burnham Westgate that later, when combined, became known as Burnham Market. 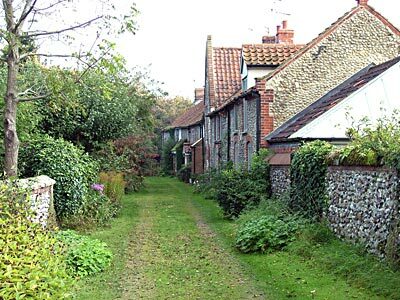 The mill was in Norton Lane, which was formerly known as Bellamy Lane (after the miller William Bellamy). It is probable that the mill was built as an open trestle mill with common sails but in later years it stood over a roundhouse and had clockwise rotating patent sails and a fantail carriage on a tailpole. The sails powered a single pair of 5ft stones in 1835 and 2 pairs of French burr stones and a flour cylinder in 1891, one pair of stones being 4ft 8ins and the other pair 3ft. A horse mill was operated in the flour house. 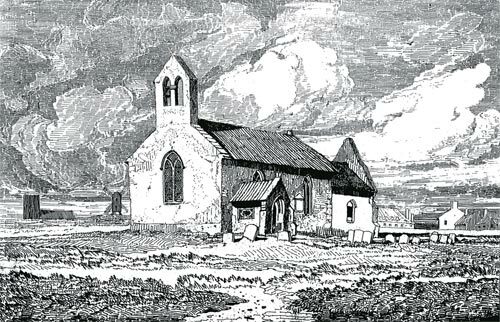 The above etching depicts All Saints church at Burnham Ulph with the mill just to its left. In 1772 the rector was the Rev. Edmund Nelson, the father of Horatio Nelson. A Capital POST WINDMILL, roomy Baking Office with two ovens, a very convenient Dwelling house & Cottage & about 2 acres of very productive Arable Land now in the occupation of Mr. William Bellamy the Proprietor, who is retiring from business through infirmaties. A considerable Retail Trade has been carried on for many years & the above will be found well worth attention. Apply to Mr. W. Curson, Auctioneer, Burnham, letters post paid. Deed of Assignment for benefit of Creditors. Milling & Baking requisites, Household Furniture etc. of William Bellamy under a Deed of Assignment. 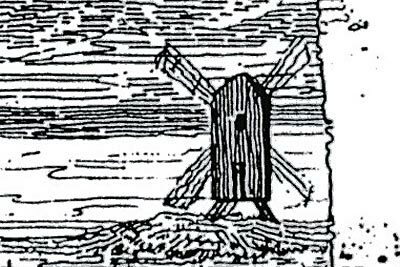 A POST WINDMILL driving one pair of five feet stones & flour cylinder, also a flour house containing a good horse mill etc. & a Bake Office adjoining containing two good ovens. Also two acres of excellent Arable Land with Barn, Stables & all other necessary outbuildings. Also a comfortable Dwelling house. Apply to Mr. Oakes, Burnham Westgate. WANTED, one good free Second hand 4 ft. 8 in. diameter FRENCH BURR MILL STONE. Apply stating lowest price to E. Greenwood, Miller, Burnham Sutton, Norfolk. WANTED, a man to Work a WINDMILL. Apply to E. Greenwood, Burnham Westgate, Norfolk. 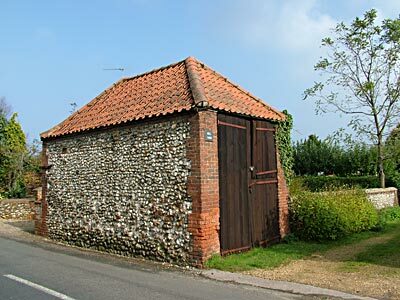 With substantially built Round House, driving two pairs of stones (4 ft. 8 ins. & 3 ft.) full sized Flour mill, fitted with patent sails & all necessary gear for carrying on the business of a miller. Also an enclosure of excellent LAND surrounding the mill and containing about half an acre (more or less) with a cart shed thereon. For the past 34 years in the occupation of the proprietor who is retiring from business. The Mill is in good working condition & may be viewed any day by arrangement. The property is all Freehold & immediate possession can be had if desired. Solrs. Wells next the Sea. Sale on the premises at 11 o'c precisely. 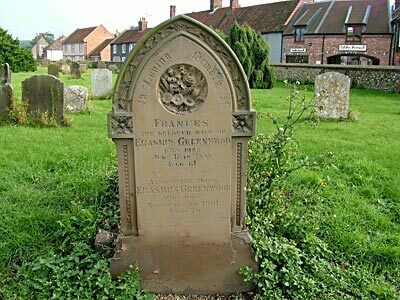 The mill ceased operation c.1892 and in 1890 Erasmus Greenwood was recorded as a baker only, having worked the windmill for 34 years. 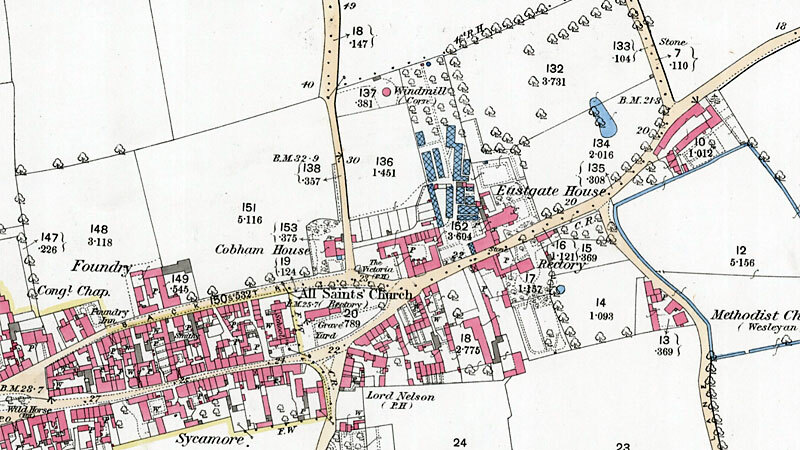 Mrs. Scoles of Burnham Market wrote on 20th January 1983 that William Love Porritt of Burnham Overy Union Mills worked Burnham Market postmill for a time before it ceased operation.